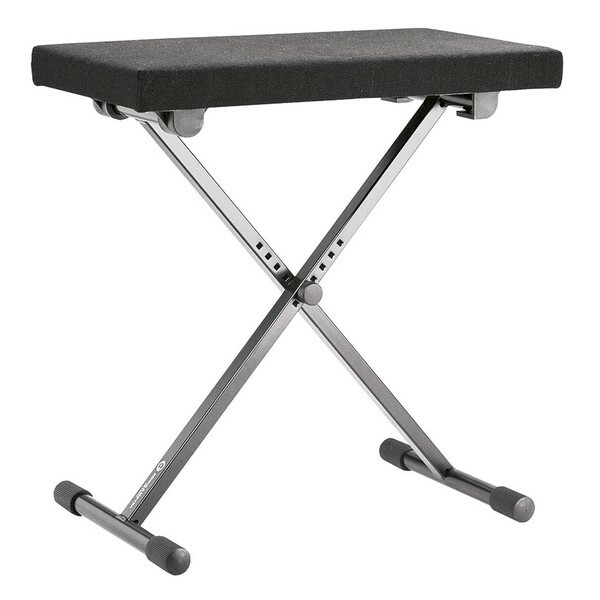 The K&M 14066 Keyboard Bench is a lightweight, easily portable seat for the gigging musician. The steel x-frame structure has a durable structure with easily adjustable height measurements to suit all preferences. The 14066 stand's adjustable side caps are can be altered to provide you with a level surface on uneven stages. This model's cloth surface and padded seat is comfortable over long performances. The 14066 is ideal for gigging musicians requiring a reliable bench whilst on the road.